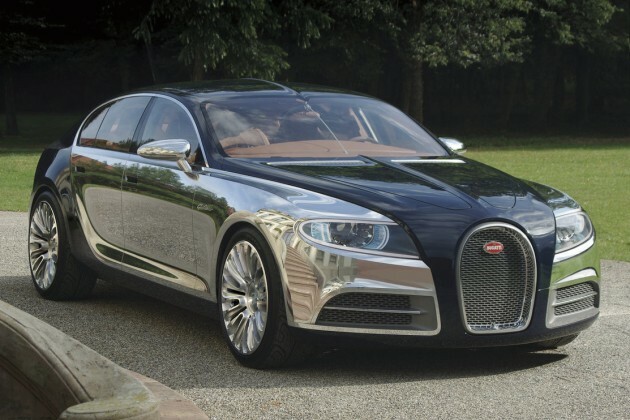 Rumors have been circulating of a production four-door luxury super-sedan ever since Bugatti pulled the suede-lined tarp off the Galibier concept nearly two years ago. But company execs have remained pretty tight-lipped about it since then, leaving us all to speculate. Now, however, the German car-mag of record Auto Motor und Sport claims to have Bugatti/Bentley chief Wolfgang Dürheimer on record confirming the Galibier's production for sometime late next year. The super-sedan is expected to use a version of the Veyron's W16 engine, though it could be detuned to "only" 800 horsepower for more civilized motoring. Don't expect the price to drop from the Veyron's perch, however, with the tag still expected to top the million-euro mark. Even at those prices, however, Dürheimer reportedly expects to sell 1,000 to 1,500 examples of the Galibier (or whatever it might be called) – significantly more than the 300 Veyrons the company has built.